It was raining. 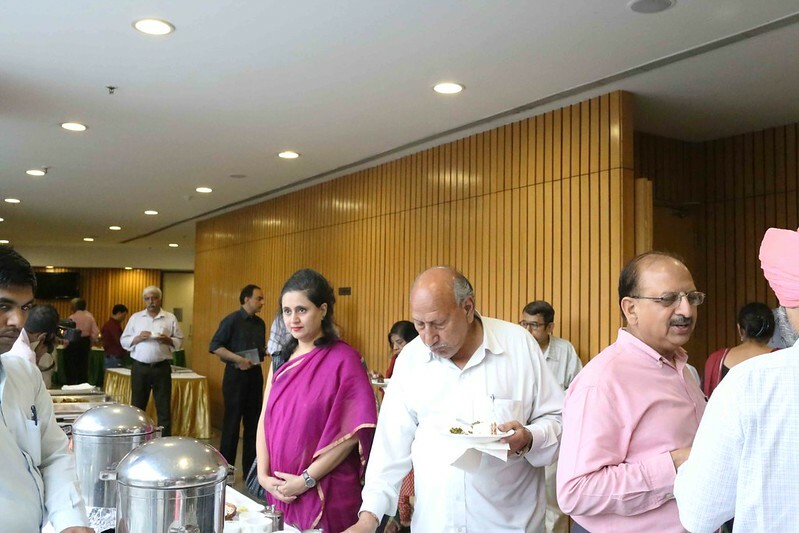 The famous TV news anchor Sagarika Ghose still managed to reach the India International Center (IIC) on time. 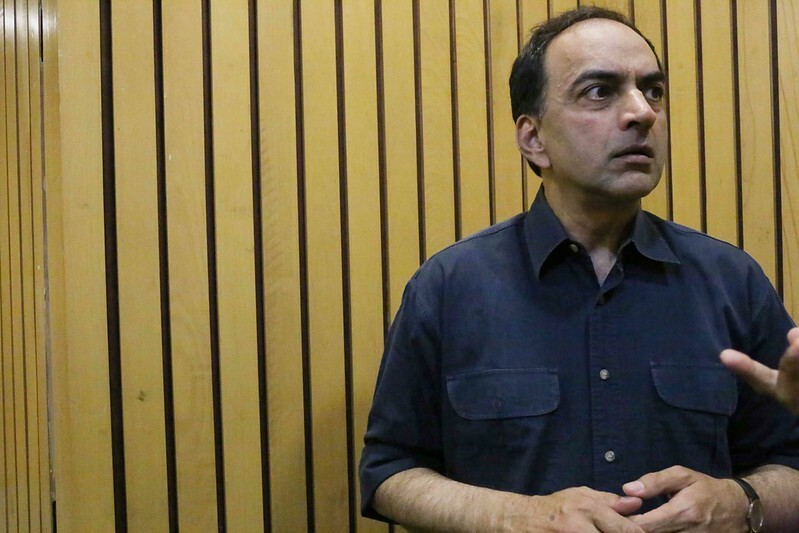 She was to stage a conversation with author and journalist Sanjay Suri for the launch of his book 1984: The Anti-Sikh Violence and After. 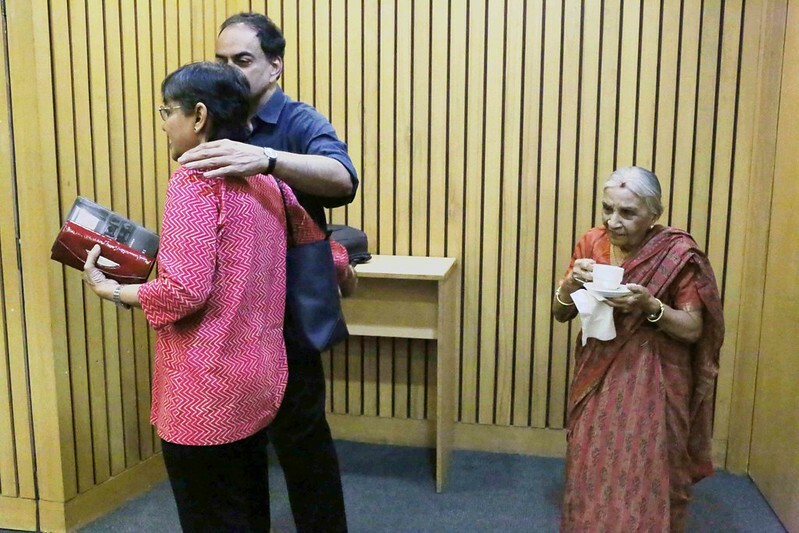 But Ms Ghose initially landed in the wrong venue. 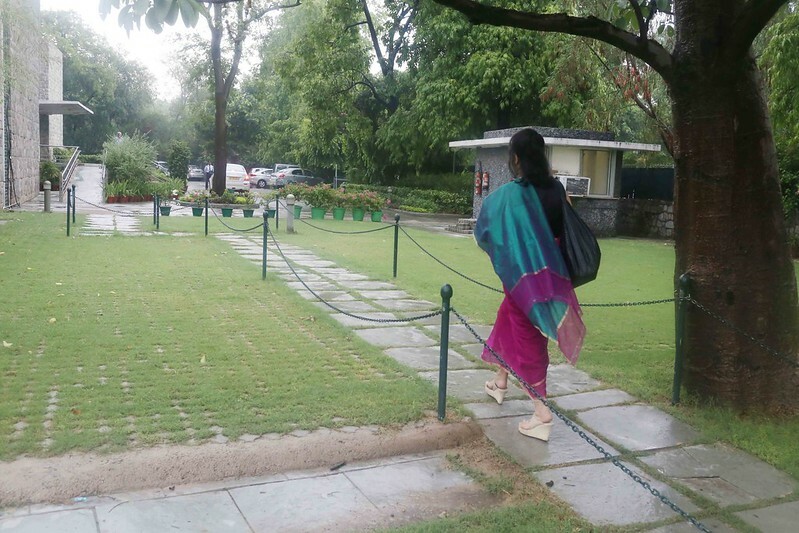 Standing unaccompanied in the foyer, she was heard anxiously talking on the phone to people at HarperCollins India, the hosts. She then headed to the next building in the complex. 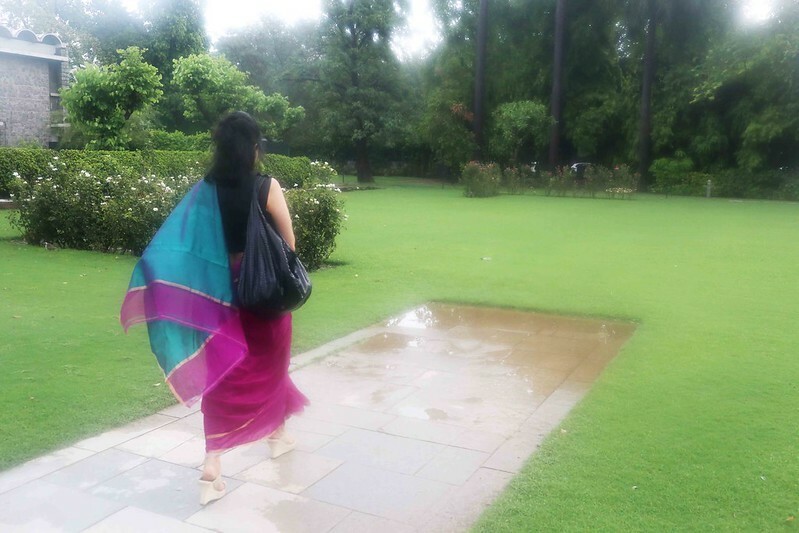 Walking alone in the monsoon drizzle, Ms Ghose looked rather vulnerable in her purplish Raw Mango sari (the rumor has it that she has hundreds of saris). 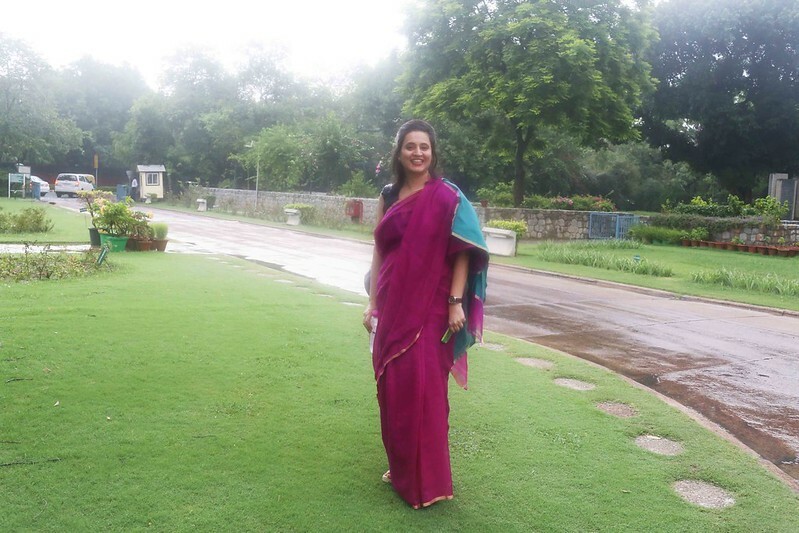 As she agreed to pose for The Delhi Walla, she showed not a hint of the aggressive persona she puts on in her TV appearances. All you wanted was for someone to hold an umbrella over her. But she covered the distance alone. 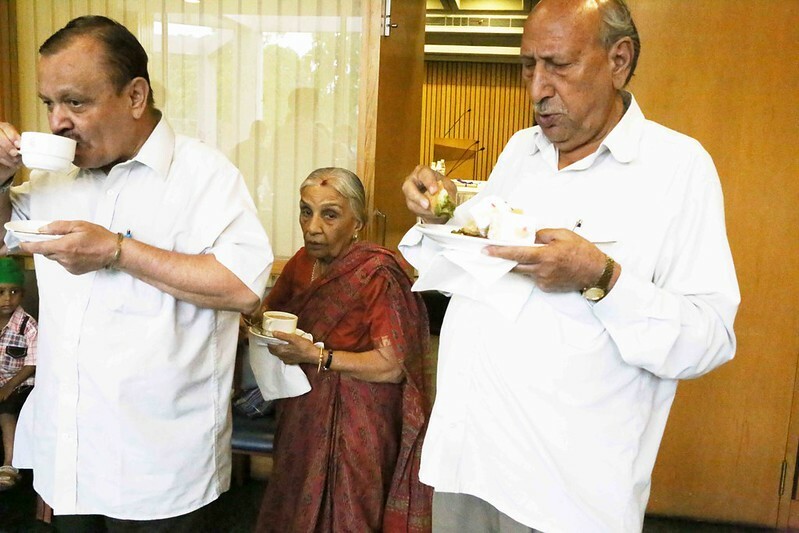 Ms Ghose was not the only TV face in the room. There was Hartosh Singh Bal. The political editor at The Carvan magazine, he regular appears in noisy news debates. Be here he sat quietly. 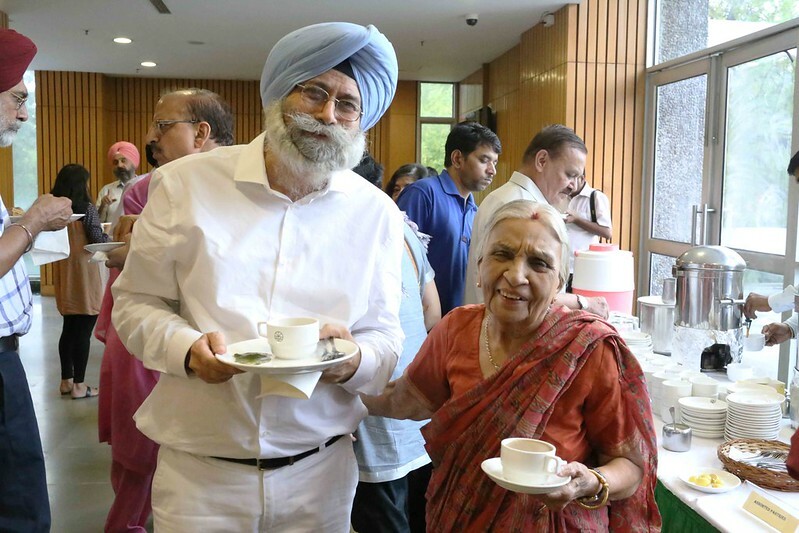 The other notables included senior advocate Harvinder Singh Phoolka and former Chief Election Commissioner MS Gill. A Sikh family sat in the back row. 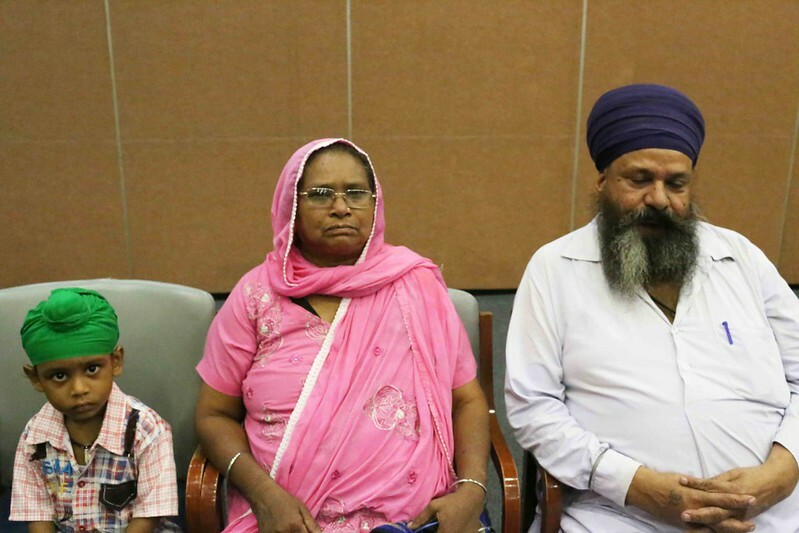 The head of the family, Mohan Singh, was a survivor of the 1984 violence (see the top photograph). 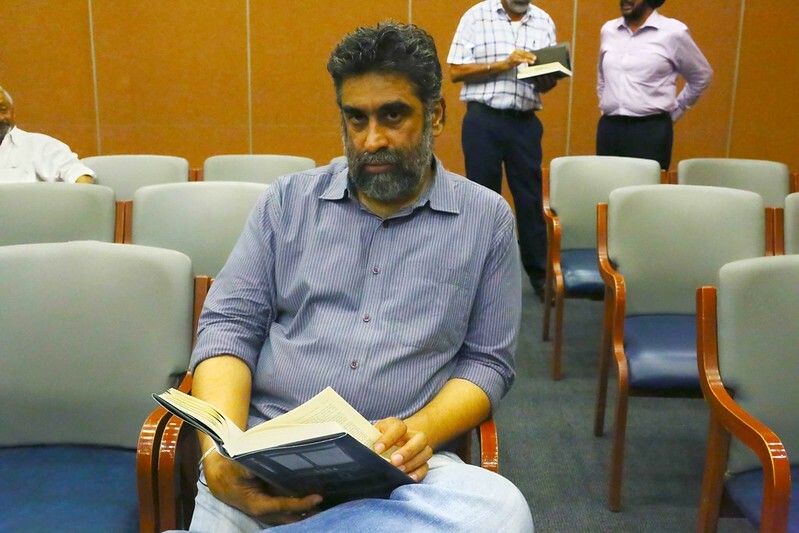 Author Sanjay Suri himself arrived a few minutes late and looked much harried. The guest who commanded the most reverence was the elderly journalist Kuldip Nayar. 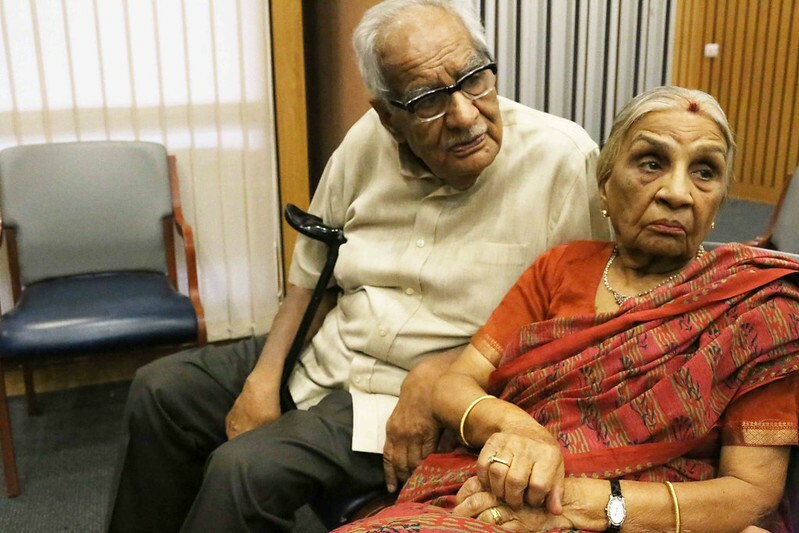 He arrived with his wife, Bharti. They were escorted to the front row. Wearing a light necklace, Mrs Nayar was the evening’s most fragile creature. As everyone dispersed into the tea room, she flitted like an angel from one corner to the other. One moment, Mrs Nayar was spotted next to Mr xyz, then she disappeared and emerged, a moment later, beside Mr abc. She was sweet magic. Thanks for letting us peep into this august gathering.